One of my favorite pastimes is visiting Disneyland for a fun-filled day of rides, sweets and magic! I’ve been an annual pass holder for two years now, and I can’t imagine going through summer without many days spent at the park. Even though I visit the parks once or twice a month, there’s always something new to discover. On one of my trips, I had stumbled into the Julius Katz & Sons souvenir shop in Disney’s California Adventure park. It was filled with Disney themed kitchen tools, utensils, aprons and oven mitts— I was in heaven! If I could, I would have bought it all, but I settled on a cute set of salt & pepper shakers that resembled Mickey and Minnie Mouse. Fast forward a few months and the SinfulColors Mod Mod World collection comes out. The permanent shades in the line—Snow Me White, Black on Black, GoGo Girl, and Unicorn— brought only one manicure idea to mind. I’ve been wanting to try my hand (pun intended) at nail art for a while now. This is my first real venture into it and it took me forever. This would have been a tutorial, but I literally had to start over about 6 times before getting this decent enough to show ya’ll. We all have to start somewhere, right? I started by applying GoGo Girl to all of my nails. I then used my bobby pin dotticure method with Snow Me White on top of my ring finger. I used tape to section off the bottom part of my middle finger, and painted the top section with Black on Black. Using the other end of the same bobby pin, I used Unicorn to create the “buttons” on what is supposed to be Mickey’s pants. Beyond adorable! I love it! We need to bump into each other at Disneyland one of these days! I’d love to do a beauty blogger hangout. Super cute mani! I really love the new shops at California Adventure – have you seen the store with the Disney Beauty stuff? NO! 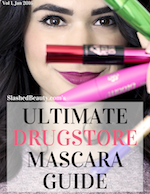 I can never find the Disney Beauty stuff, which store is it?? If you take a left down towards the Monster Inc. ride, you’ll find it right across from the Disney Jr. auditorium. You should be doing nail art more often on the blog. I loved this post! Rock your Disney side! As a Disneygeek I love your mani. Sooo cute. This is so adorable! Love anything Disney! So cute! 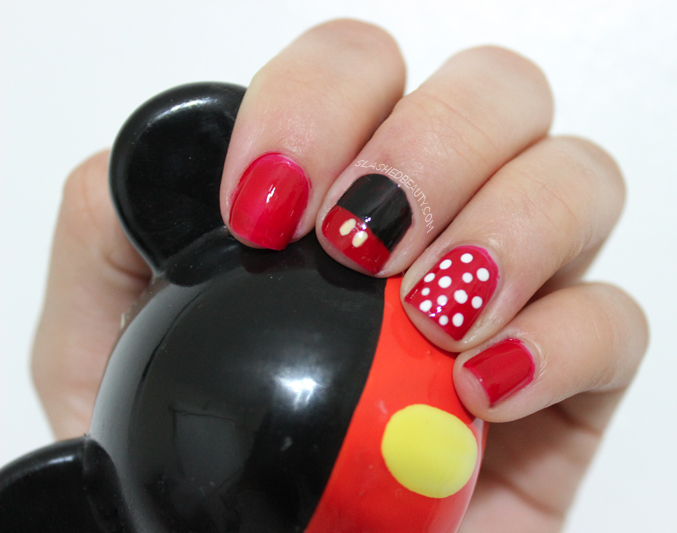 Grea job for your first nail art! Aww such a cute mani. Lovely nail art. 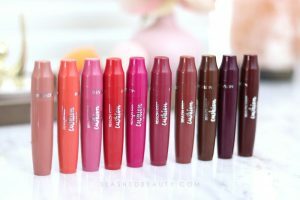 I love Sinful, it’s one of the best inexpensive brands out there! This was the first time in a while that I used Sinful and I was super impressed with the quality! This is just way too cute! Love it! 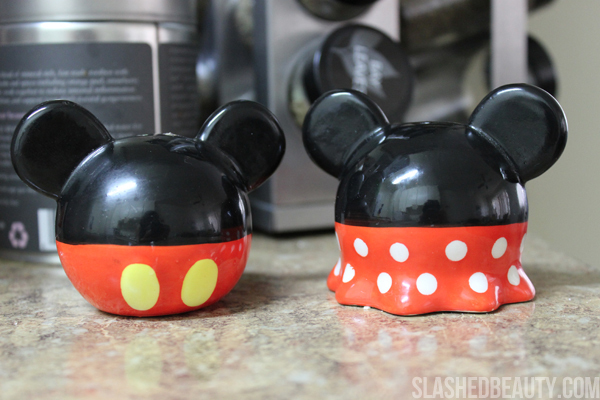 The salt and pepper shakers are super cute and your nail art is too! Sadly for someone who lives so close to Disneyland, I hardly ever go! Love Mini Mouse. I like how you chose to paint the back of the dress rather than her face. Great inspiration for nail art! Now I want to go to Disney! So cute, Miranda! This is super cute! I’m not a Minnie fan, but I’m a loyal fan of Mickey! So cute! I like it a lot! Adorable creation! I love Minnie and so does my baby daughter.